The joint meeting of the Romanian Government and the College of Commissioners, which is traditionally organized by the member states before assuming the Presidency of the Council of the European Union took place in Brussels on December 5, 2018. The Romanian Prime Minister assured the European Commissioners that Romania is fully prepared to take over the Presidency of the Council of the European Union on January 1, 2019, and reiterated our commitment and will for an efficient and pragmatic presidency. Prime Minister also voiced Romania’s willingness to contribute in a constructive manner to defining and promoting the common European interest, to ensure unity and cohesion among the member states, and to bring citizens closer to the European Union. 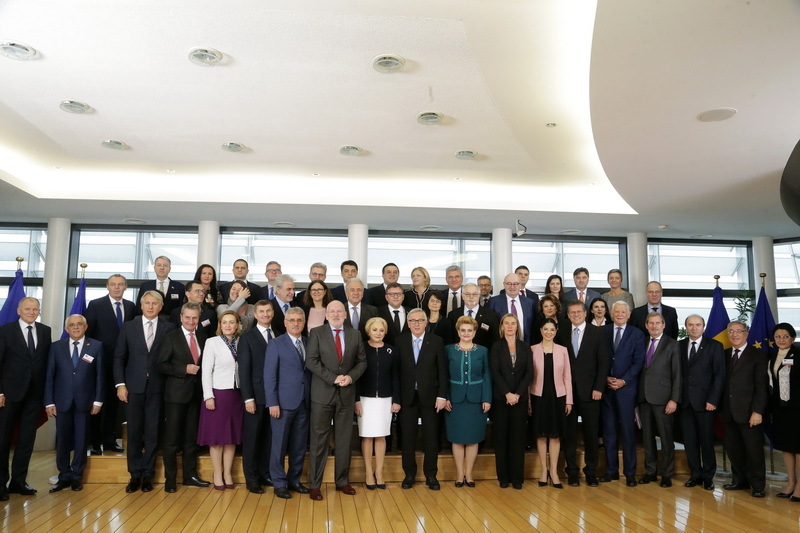 Recalling the motto of the Romanian Presidency of the Council, “Cohesion – a shared European value”, Prime Minister Dăncilă pointed out once again that, during its tenure, Romania will promote a cohesion policy that responds to the increased need for economic, social and territorial convergence.